Our life choices should not harm those we love when we die. Developing an estate plan can prevent that possibility. We might just want to reduce the chance that our children will not fight over the stuff we choose to accumulate during our lifetime. Most of us want to let those we leave behind know that we care and will continue to even in death. A conversation with a lawyer will help you identify why estate planning is important for you. Leaving a legacy — Do you want nothing more than to leave a legacy for your children and not let the cost of nursing home care bankrupt you? Do you have a child with a disability and want to make sure you contribute to that child's quality of life even after you are gone? 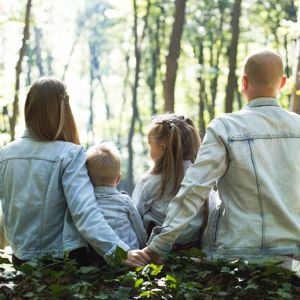 Prevent family conflicts — Do you have a blended family? Do you and your spouse agree on how and what your children from a prior relationship should inherent at your death? Provide peace of mind — If you die while your children are minors, who do you choose to raise and care for them? How will that person access your assets to raise your minor children? Establish your legacy — You have worked your entire life to gain the assets and valuables you have. Your estate plan will ensure they are protected for your heirs and beneficiaries. Our work begins with a conversation designed to educate and empower you to make the best decisions for you and your loved ones. Schedule an initial consultation at my law office in St. Paul, Minnesota. Call me, estate planning attorney Ray McCoy, at 651-262-3019. You can also get in touch with me via email.